Robusta coffee futures were trading lower even as Brazil’s Agriculture Minister Blairo Maggi said he has asked the country’s Foreign Trade Chamber (Camex) for authorization to open robusta coffee imports at a very low tariff. Earlier in the month, Maggi said he was convinced that Brazil should allow its local coffee processing industry to import robusta beans due to the supply shortage; however, he was uncertain if this would be allowed with Brazilian robusta growers strongly opposed to such a move. With Brazil’s status as a top coffee producer, allowing imports is an new move, but, according to Maggi imports are necessary to guarantee that instant coffee makers in Brazil would survive the current robusta supply crisis. Instant coffee producers backup his claims, but Brazilian coffee growers don’t agree. They say there is enough coffee to supply the instant coffee industry. For the record, instant coffee exports fell 35% in January, year-over-year. The Agriculture Ministry has asked Camex to allow imports of 1 million 60-kg bags starting this May at the same time the harvest starts for the new coffee crop in Brazil. The requested import tariff is 2%. Imports would likely be requested from Vietnam, but that country is also dealing with lower supplies due to recent droughts. 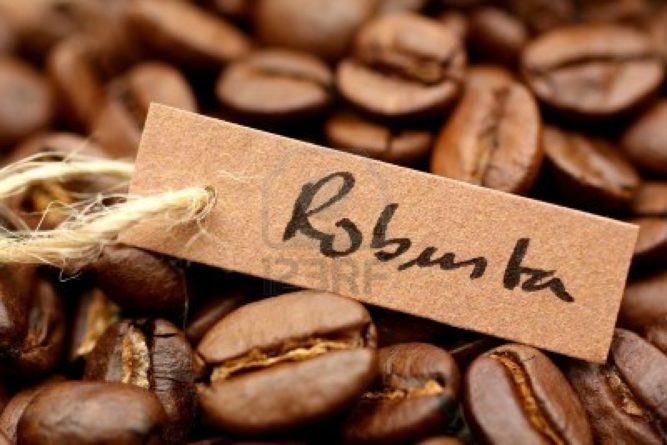 Robusta prices declined by 1.2% Monday. They are currently trading around multi-year highs and are up almost 50% compared to one year ago. Robusta coffee futures settled lower, extending losses from a 5-1/2-year high reached on February 1, with March closing down $11 at $2,096 per tonne in dealings between $2,088 and $2,116.